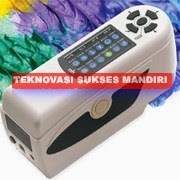 Portable Colorimeter NH 310/300 adalah peralatan uji warna yang menyajikan keunggulan dan ketahanan hingga sepuluh ribu kali uji dan digunakan di berbagai inovasi teknologi. Akurat, Stabil, penampilan yang menarik, dan terjangkau. NH310 high-quality portable colorimeter has adopted multi-channel color sensors of international brands, more stable IC platform as well as efficient and accurate algorithms to provide users with accurate and fast color management and application. NH310 is also designed with ergonomics and humanized operation and it has applied for a number of patents. NH310 is a multifunctional colorimeter with high quality and competitive price. our insists on independent research whose technology innovation is unique in color management field. NH310 is the most convenient colorimeter for users. 1. Leading Humanity Design and Convenient Operation. * The average fluctuation of △E is less than 0.06, actually more in 0.03~0.06. * Portable structure design which is more conductive to keeping the instrument stable when using. * Camera locating can solve the problem of locating a small area. The minimum width of locating is 4mm. * Illumination locating is a fast, simple and convenient locating function which is the original function by our. 4. More Measurement Modes * Three measuring apertures for more circumstances. * Five color spaces for more color schemes selection. * Three light sources for more circumstances. * We has the intellectual property of PC software. The corresponding software serial number and password protection are configured in our colorimeter. * Be able to perform color difference analysis, color difference cumulative analysis, chromaticity index, color sample database management, simulating object color, etc. 6. Advanced Power Management Design * We is the first enterprise using high capacity Li-ion battery in colorimeter. * Our Li-ion battery can be repeatedly charged which will save cost. Meanwhile, it can measure more than 3000 times on one charge to ensure the stability of long time measurement. Jika anda membutuhkan informasi lebih lanjut mengenai Portable Colorimeter NH 310/300, silahkan hubungi kontak yang tersedia.